Shear pump is one kind of centrifugal pump. Mud get a certain amount of kinetic energy while leaving impeller under the impeller rotating centrifugal force. Mud also get some certain of pressure in the pump housing, the pressure does not vary with the change of time, pump outlet size, but only depends on shear pump impeller structure, size, and rotating speed. Driving motor and shear pump connected directly with belt. Design speed of impeller is 2200RPM (max.). Under normal working situation, for 50hz motor, max. speed of shear pump impeller is 1480rpm, much smaller than the design speed. The maximum pressure generated from high speed rotating of impeller centrifugal force is constant. The max. shear pump pressure is 0.45MPa. The outlet pipeline and pump casing can surely withstand the pressure. Mud mixing hopper is the main parts of bentonite mud mixing system. 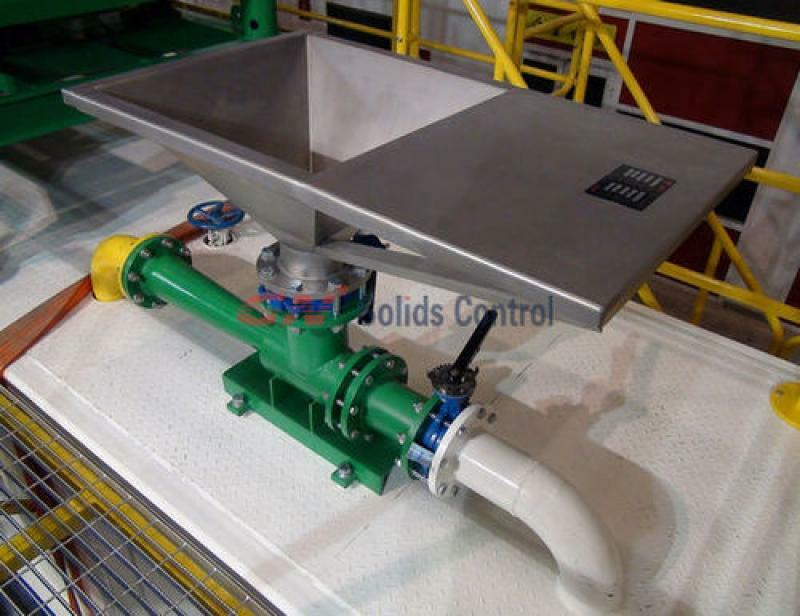 Mud mixing hopper can be connected with centrifugal pump and some linking pipes, and work together as bentonite mud mixer. Bentonite mud mixing hopper has two types, one is cyclone mixing hopper which is also called swirl mixing hopper with features such as high mixing efficiency and fast feeding speed. And the other is jet mixing hopper that has high mixing efficiency and high pressure at outlet, especially working with shear pump. Shear pump is used to effectively mix and hydrate material added into fluid. With large capacity, high lift, and long reliable service life, the shear pump can speed up dilution and hydration of polymers to have property mud. The extent of hydration of convey soil and spread of convey soil in water base depends on following points: electrolyte content in water, time, temperature, quality and consistence of replacement cation in surface. Under the same situation, shear pump can reduce 30% bentonite. Shear pump can shear polymer while transfer, and make it diluted and hydrate as soon as possible. Another reason is, the molecular weight of macromolecule polymer is relative high, it is not easy to melt in water. In this case, polymer materials need to be pre-cut before mixing or transferring. Shear pump can provide high shear efficiency; speed up the dilution of the polymer, and the hydration process. Shears pump offer big capacity and high lift. It can meet different jobsit for polymer mixing. -Nozzle- 40mm -Hopper dimension- 750x750mm -Burden Speed -80kg/min -Density -2.4g/cm -Viscosity- 120s-Dimension – 2200x1700x1200mm -Weight-1400/1380kg QTY = 1 No. 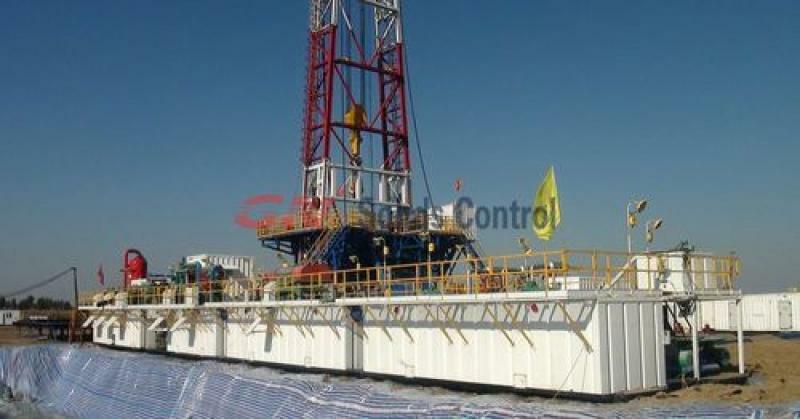 GNZJ50 (5000HP) rig system running well in a CNPC jobsit. 2. 1 unit Vaccum Degasser GNCQ360 which remove the cuttings in gas from the drilling mud to improve the efficiency of transfer pump. 6. 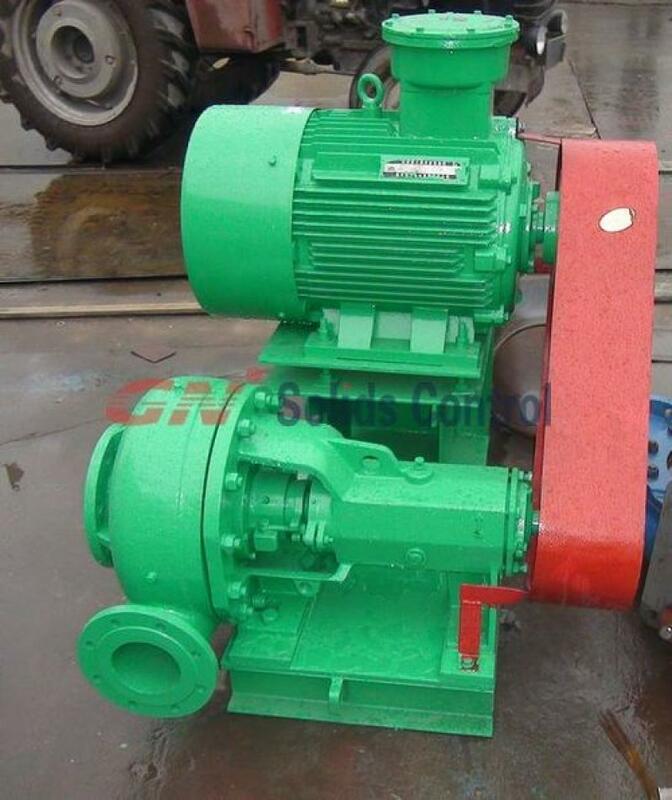 Centrifugal Pump for transfering mud internal tank and charging to mud pump. 7. This ZJ50 rig mud cleaning system also equiped with poor boy degasser to prevent blowout.